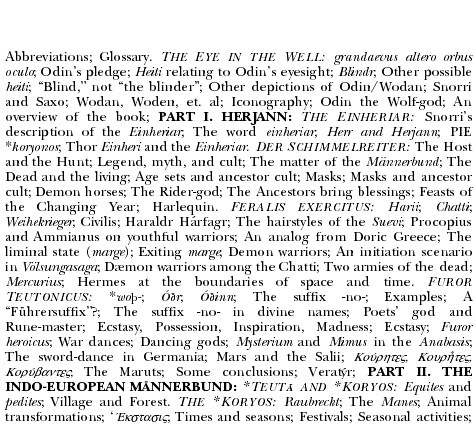 This is much more than just solid, factual information about Odin and the people whose deity he was, for Odin was the god of the Einheriar, of the Germanic and Viking mannerbunde, the furor Teutonicus and the war bands of the great folk wandering that shaped so much of the map of Europe as we know today. 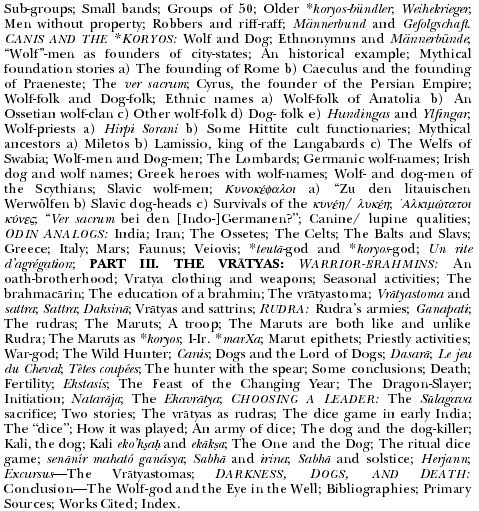 Here we have a broad and fascinating account of the Germanic ancestor cult, of the Wild Hunt, the eye in the well, wolf-men and werewolves, dragon-slayers, demon riders and Harlequin, Valhalla and Ragnorak. Odin/Wodan is presented to us as a divinity who was central to a warrior society the ramifications of which went far beyond the revered One-Eyed God of battle and knowledge. Organized into three sections, we are carried in the last of these far beyond Germany to find parallel institutions surviving amongst the wider Aryan kindred – among the Celts, Romans, Slavs and ancient Greeks, and still further, to the Indo-Aryans of Iran and the distant lands beyond the Indus, all sharing elements of a once common ancestral origin.